That manure wagon is quite high. I only just managed to load it with the Lintrac and the larger front loader. 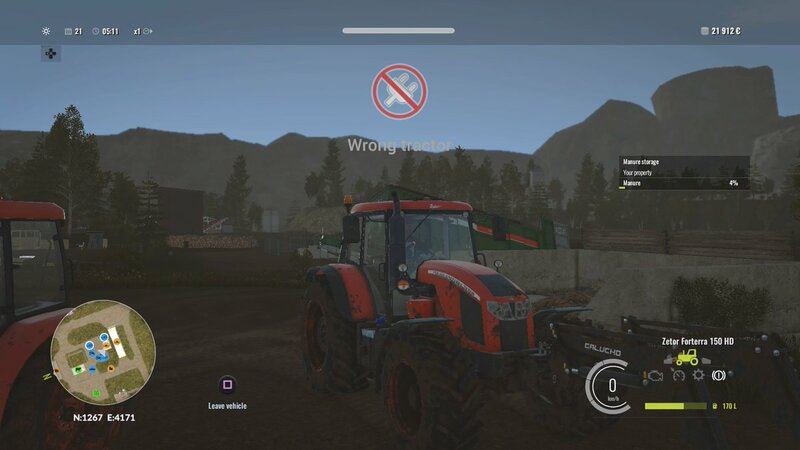 I had sold my starting Zetor tractor after being given the Forterra for doing the equipment delivery side mission so when I came to this mission I had no tractor that could work with the given front loader, oops. How did you get the SIPMA NS 1600 KOMBO? I have that task but I don't have the required level to buy the SIPMA. And as far as I figure out you only level up if you complete tasked. The Sipma trailer you need is the manure spreader not that tipper. They are confusing as they all have similar names - very difficult to pick the right equipment when you’re switching countries!! Never have guessed I had to look for a trailer by cultivation equipment. Yeah some of the classifications are a bit odd but the trailer they want you to use is a manure spreader so does fit under cultivation (as they seem to include fertilisation in that class). I like this game (It has great potential) but this sort of classifications and some other weird, let say, choices make it hard to fully appreciate this game. If I'm not mistaken you a PS4 farmer too. How did you load that tipper? That looks fine except maybe that tractor is too small to achieve the tip fully? I used the Lindner Geotrac with the larger front loader arm and that just had enough reach. The Forterra you get gifted for the machinery delivery side quest is better though. The loader arm you get given to start with is only for medium tractors. The Forterra (and Geotrac) require you to buy the larger arm for heavy class tractors. This will give the necessary extra reach for that trailer. Also you can use the larger bucket to speed things up. Would like to hear if anybody has done this mission with the starting equipment, maybe you park the trailer on a lower level? 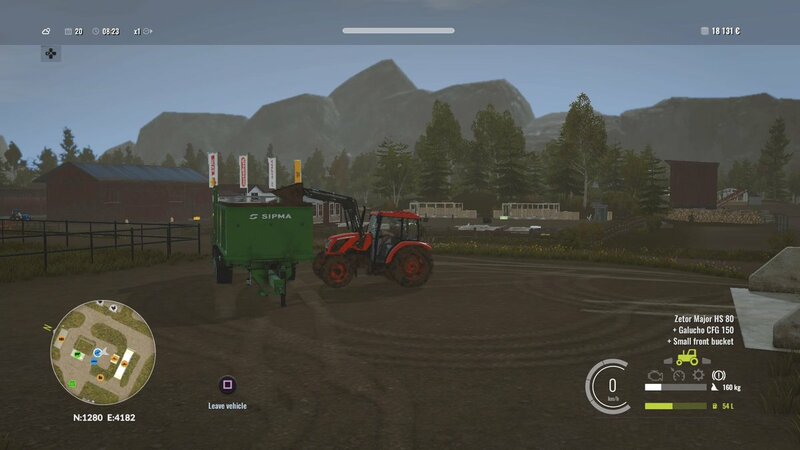 I had to work with different equipment as I had sold my starting medium tractor as I said before so never tried the default scenario. 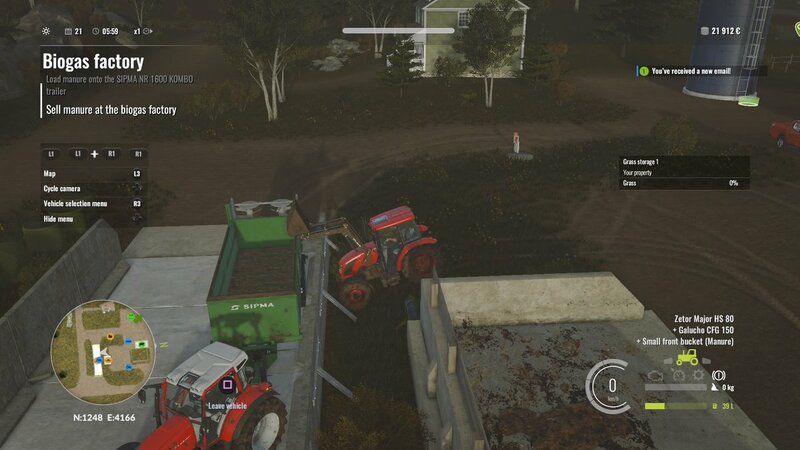 Next my tractor got stuck... But I did it. Next I went to Colombia and had to struggle with new challenges. But maybe I start a different topic to ask (stupid) questions.